Here’s Alan’s interview with Sky Sports after the great 2-1 win at Cardiff City today. I wish Alan Pardew would watch his own interviews and take his own advice on board. Why should the players get consistent when he isnt. Shocking decision to drop Anita for nothing. This is terrible – we won away and are currently in 10th position. Obviously Cardiff are a very poor team who haven’t beaten anybody this season. Not only that but we may not actually end up in a relegation dog-fight. We’re going to sell all out best players and only play Jonas, Shola, Tiote and A.N. Other (whoever is the latest to fall foul of the boo-boys). That should cover it. Too much irony?? Things seem to be about right now. But the next 5 games are really tough! frankfurt so conceding 6 goals in 2 halfs of a game is nothing then? @2 He was dropped for tiote who really did a great job today – so it wasnt for nothing. 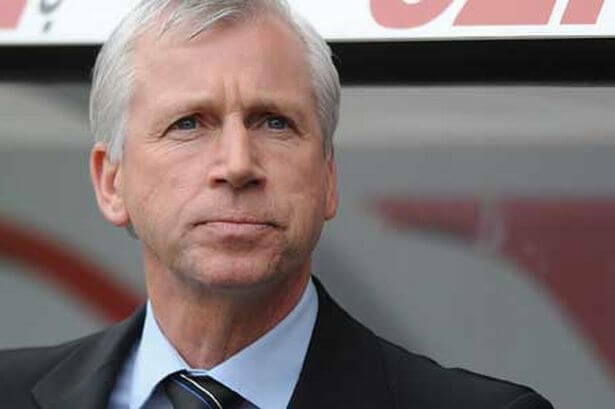 I was surprised as well as I have been very happy with Anita so far, but this time Pards did the right choice (IMO). I also agree with him that Cisse had a great match today, apart scoring. He really stretched their defense and made room for the central midfielders as well as Remy to burst forward. The goals will come. Alan Pardrew should have came out and said ”Go ask craig bellamy where these pockets of space are he knows how to find vs nufc. Bellamy is such a rat. haha magpie brilliant ya got it just about right! kevy wat are you on about mate!!? Remy’s second was brilliant. Williamson should’ve went with his left for their goal and he would’ve stopped it. Overall great win but I just don’t get why we can’t play for 90 minutes at the same level if not tempo, Pardew’s a coward, always goes defensive when we’re holding a lead. @Manxpie the last time craig bellamy played against us he was playing for liverpool and came out after he scored and said I have a thing playing against newcastle I just know how to find pockets of space vs them everytime. Anyone know if we can sign Remy on a permanent deal now ? , or do we have to wait till Jan or next summer ? . Also I have been watching a lot of the Bundesliga this season and one player I would love us to sign is Max Kruse, cracking player. @Bpc the market is closed so we hada wait, the deal was we have the option to buy if we want for the fee of 6m I believe it was. @OhsholaAmeobi his price is rocketing, good job we had an option to buy for 6 million. worked out qpr were making there money back because it was like 2 million a year on his contract. BPC well redknapp has come out and said he doesn’t want any of the players that have left on loan so where in with a chance but probably not if he ain’t got a release clause coz his value will rocket if he keeps on goin! I think Redknapp has already said he doesn’t want Remy back. @Ohshola It is certain that we have the option to buy for a certain fee believed to be around 6-7 million, well that’s what everwhere were reporting when we took him on loan and it would seem that’s fair were taking the chance on him were also paying a 2million loan fee and his wages. I’m pritty sure we will pick him up for knockdown price (a bargain) if he keeps playing like this. Plus on the other hand come the end of the season if he fitted in well and likes everything along with his other french buds if they try anything I could see him demanding a move to nufc unless a top top club came in for him. @Geordietwo If Adam johnson wasn’t such a noob they would be 2 or 3 up. Is it me or does Moyes look a little tense on the sideline? 😆 This is just wonderful to see from ManU. It looks so good on them. I can even put up with Sunderland winning just to see ManU fall down the table. Aye kevy mate @25 but I’m still loving it. That dive was priceless. Words can’t describe how much I am enjoying seeing Man U struggle. My best m8 is a MU fan and has gave me sh*t for years . I told him they were average and without RVP & Rooney they are average but he didn’t want to listen . Now I just look at the table and smile 🙂 . Should have seen the pen sterling won today my god what is football coming to. Although I like seeing a famous win snatched away from Sunderland just as much 🙂 . They could be dead and buried by Christmas . I must have watched a different game from a lot on here. I thought it was the best we’ve played in ages, away against very tough opponents. First half we murdered them and could’ve been 4-5 up. Second half they came at us as expected and we were strong. Totally happy with the performance and result. Remy, cabaye, willo, debuchy, goufran, sissokho all looked much better tonight. Even cisse had his best game in ages and looked fast?!! Well things are now back to normal with Sunderland. 🙂 And at least it won’t lift them for their game against us. There had to have been a positive in there somewhere. The inconsistency is the problem m8 . The game lasts 90 minutes not 45 . That is three times this season we have had the lead at half time and went on to concede and play worse . Let’s look to the next 4 games for Cisse. I understand he played better but the whole team was better in the first half. I want to see what he has in the way of goals by the half way mark. If Cisse has more than 4 in the first 19 I will be shocked (but hugely relieved). Remy has 5 in his first 5 with us and doesn’t need the ball on a plate to score. Sorry just playing devil’s advocate a little here. Even tho Cisse’s movement helped a bit, he still plays like a striker with no confidence. His first touches are hit or miss and he hesitates big time. Aye 89Norcal Remy’s second was top class. Cisse would never have scored that one. His shot is completely gone. Haven’t seen a decent attempt from the top of the box from him in ages. He managed to hit the goalie with a toe poke leading to the first goal, I would agree with that. Cisse couldn’t polish Shearer’s boots. I agree with you it would be nice to do that all game. But I very rarely see it from any team now. Against Everton it was re reversal and even palace today got back in to it against Liverpool. I’m happy that there was a vast improvement on Everton, that’s all that can be done. I know it wasn’t perfect but I’d have snapped your hand off for that before kick off. I’m looking forward to motd for a change which is great! !